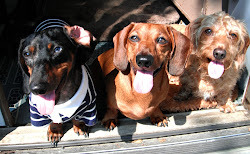 I am thinking that this same occurrence must have happened to other dachshund owners. We're out for a walk, then all of the sudden, your arm holding the leash is whipped back and your coming to a stop. Or nearly to a stop. It depends on the size of the dachshund or just how much they want to stop. 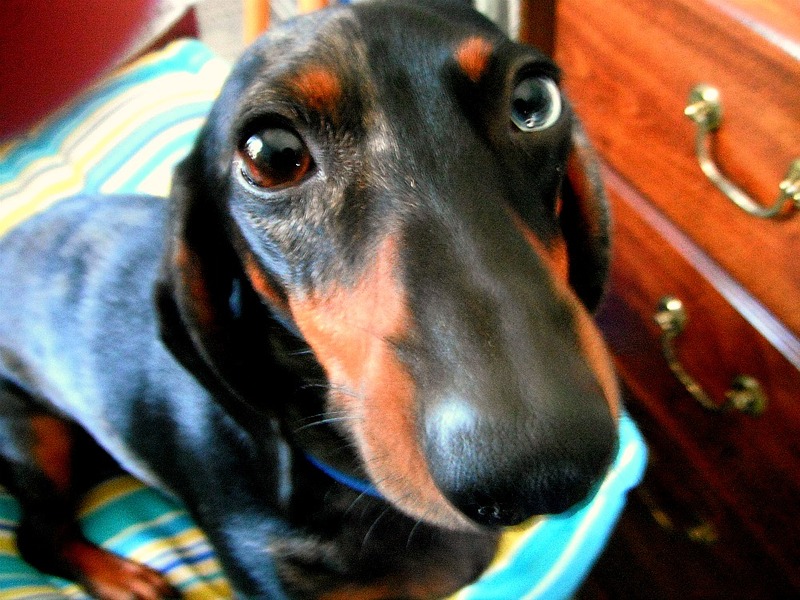 My first dachshund, Watson, a big standard, when he wanted to stop, you were most likely going to stop. All my current dogs are minis, and although they're small, when they stop and dig in its kinda like a sea anchor, definitely slows things down. 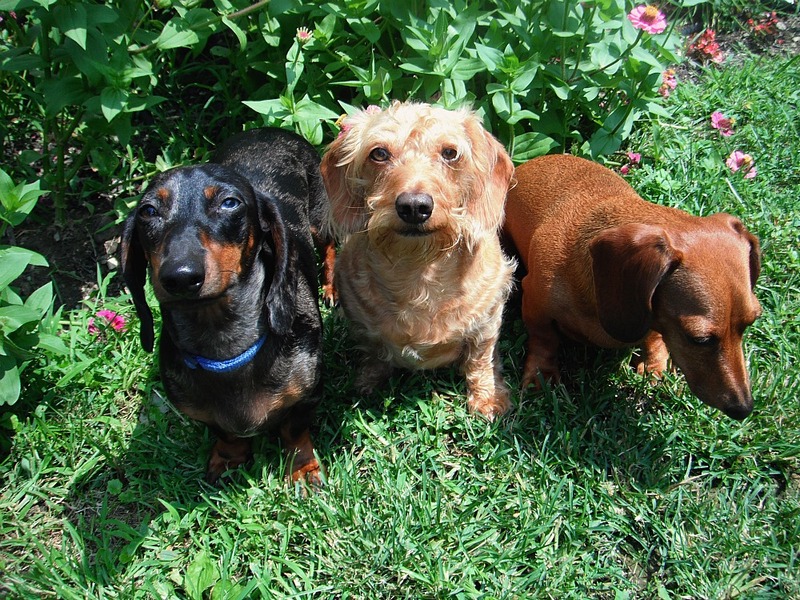 Now they probably just want to sniff something or pee on a particular blade of grass, at some point I have to get a little stern with them and say "let's go". 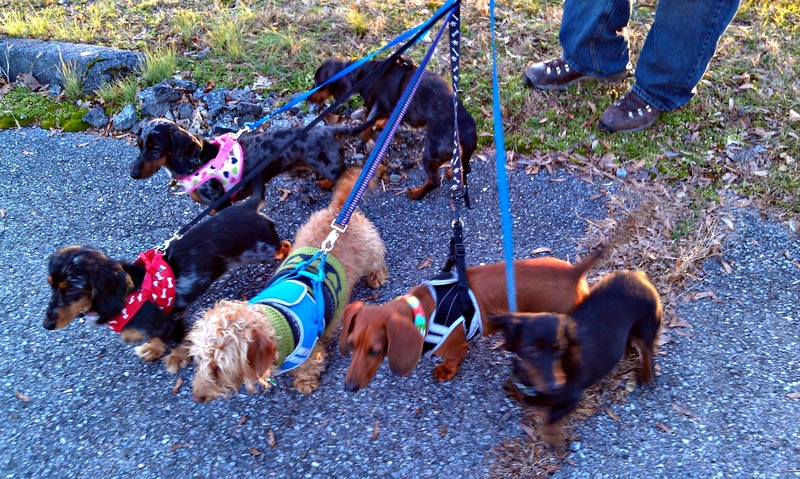 As long as a certain amount of important business has been taken care of we are out here for a walk not a snifforama. There are just so many trees and lumps of dirt one needs to stop at and then your when dry your dry. Did someone say exercise? Larger groups seem to keep moving along, maybe a competitive thing. 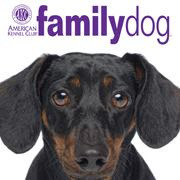 AKC Family Dog is a neat magazine for dog lovers and this month features a cover and article about the mighty dachshund. I really enjoyed the article because the description of my favorite dog is spot on. Check it out. Link is below. 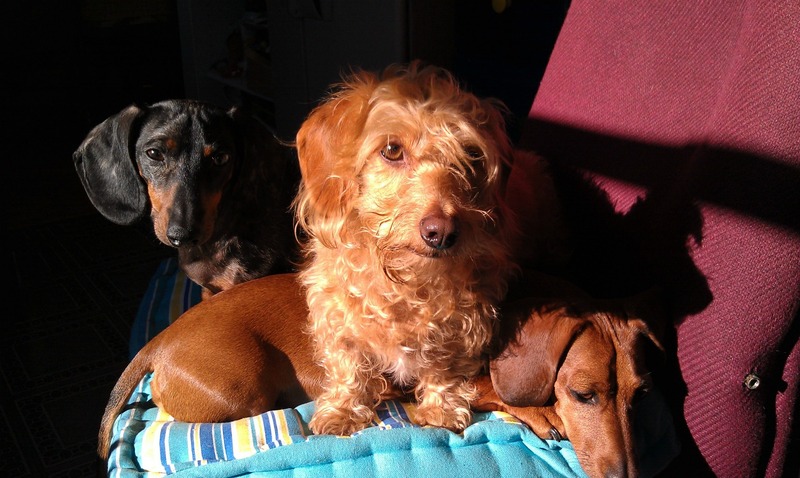 Can You Read This Dachshund's Mind? Spaatz's expressive little face is clearly saying to me anyway " Mommy, I need my corduroy moose toy very, very bad, right now. Would you please, please get it for me now or I will jump over there to get it and crash and maybe hurt myself." That may seem like a lot for a facial expression, but take my word for it, that is definitely what he is thinking. He is also standing on the arm of a sofa, calculating his trajectory to the little table that will not hold him. 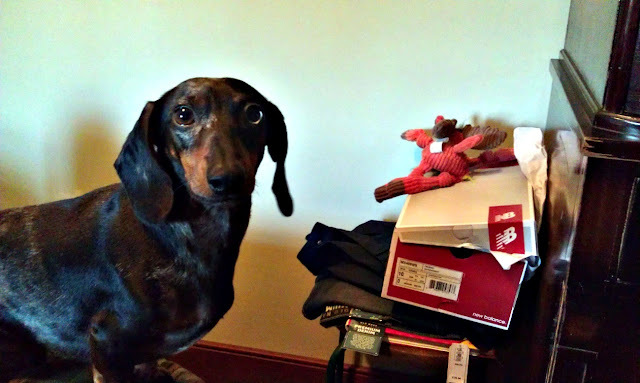 So to prevent my foolhardy little dachshund from making a big mistake, I will quickly take his photo, get his toy for him, and send him happily squeaking on his way. Whatever he needs, its always very important.